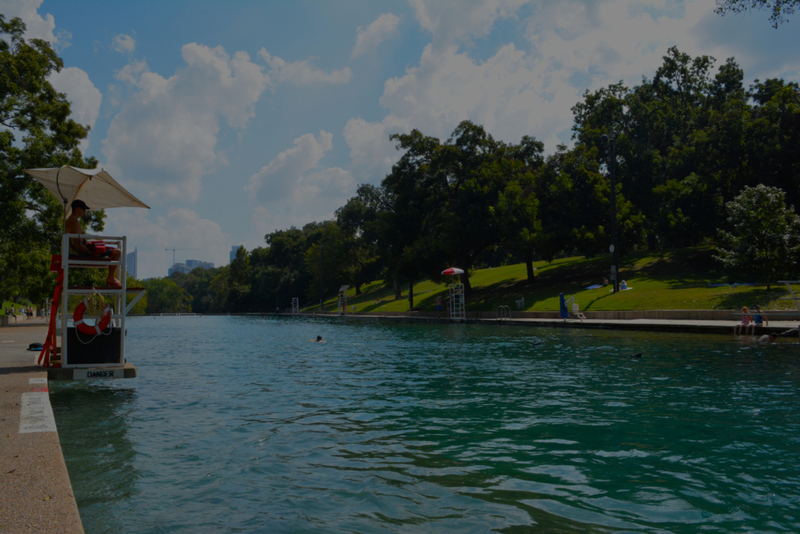 Barton Springs is a natural treasure that is the heart and soul of Austin. 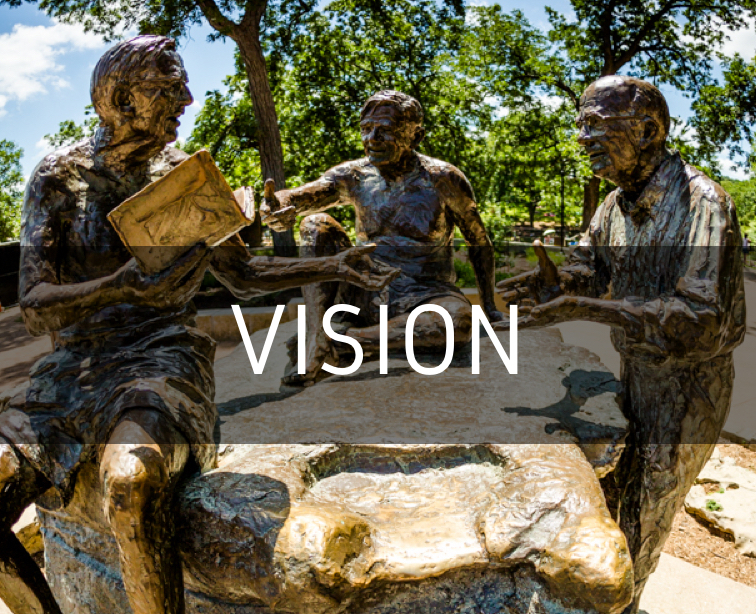 The Barton Springs Conservancy honors, preserves, and enhances the experience of Barton Springs through education and facility improvements. The four underground springs supply cool, refreshing waters providing the community a beautiful space for year-round swimming. The three-acre pool offers locals and visitors a unique experience where they can be deeply immersed in nature and human community. Individuals from all different backgrounds develop a deep love for the Springs’ overwhelming beauty and its educational, recreational, historical, and cultural riches. Barton Springs Conservancy honors, preserves, and enhances the experience of Barton Springs through education and facility improvements. The Conservancy will contribute to the environmental, educational, recreational, historical, and cultural well-being of this beloved treasure of our community. 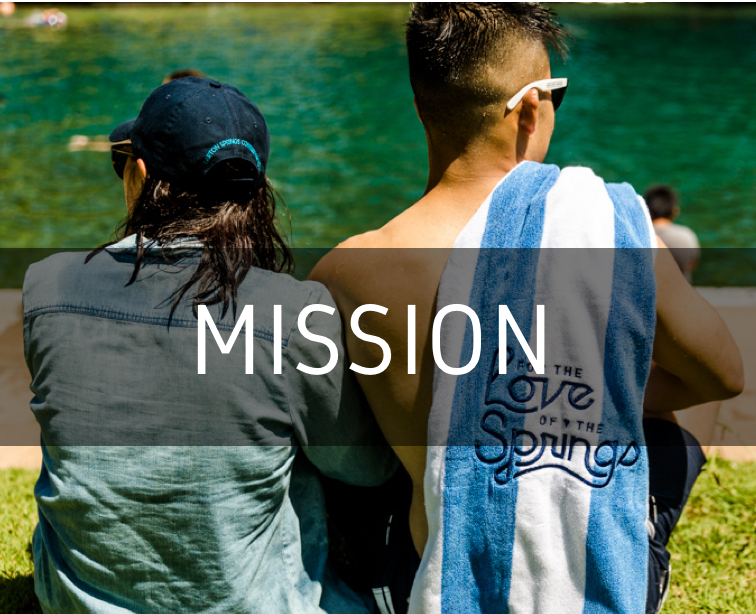 The Conservancy’s For the Love of the Springs Campaign focuses on the following projects: the restoration of the historic Gateposts on William Barton Dr, the rehabilitation of the historic Barton Springs Pool Bathhouse, and the creation of a Visitor Education Center for Zilker Park. 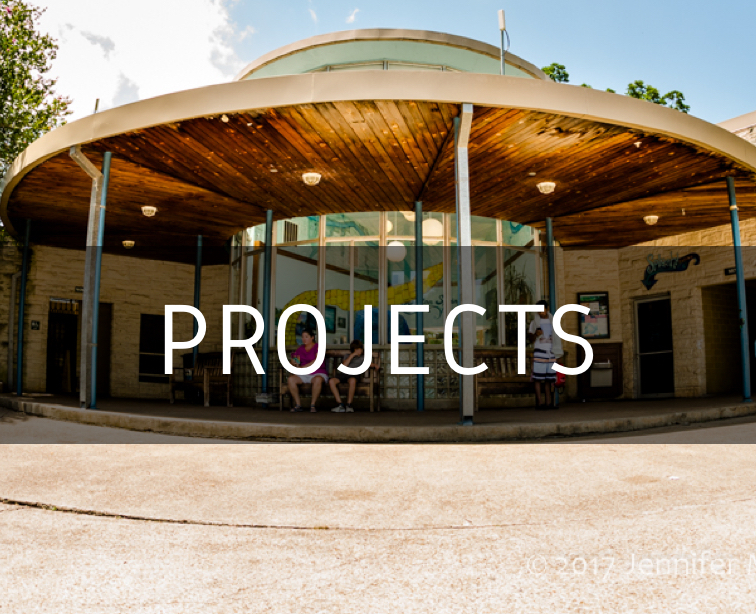 The Conservancy has been hard at work, fulfilling our mission to improve the Barton Springs experience through Education and Facility Improvements. Over the past year, we have launched our quarterly speaker series: Deep Dives, explored a pilot education program with the Girls’ School of Austin, and hosted Faces of Barton Springs: an interactive art installation at the Historic Barton Springs Bathhouse. The Conservancy funded and completed renovations on the Historic Gateposts on William Barton Drive. We celebrated the 70th anniversary of the historic Bathhouse with a community-wide Parade and Plunge at the Springs and hosted a 70th Birthday Bash celebrating the birthday of the bathhouse as well as of our supportive community leader and Barton Springs Conservancy enthusiast Luci Baines Johnson. 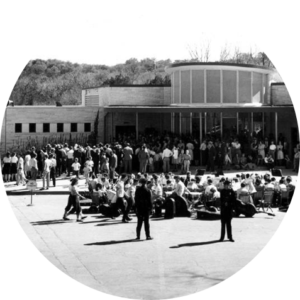 We have made exciting progress in our efforts to raise funds for the rehabilitation of the Historic Bathhouse and made our first payment to the City of Austin in early 2018. We participated in the first public meeting about the project and we are excited that the design work is officially underway! The Conservancy is working hard in myriad ways to raise awareness and financial support for our projects benefitting this iconic treasure in the heart of Austin’s most visited and beloved Park. We hope you will join us in this effort, and there are a variety of ways to help! You can make a donation on our website. You can join us for a tour of the historic bathhouse and learn more about the rehabilitation project. You can tell your friends about the Conservancy’s work. You can tell City Council that Barton Springs and Zilker Park deserve additional support as Austin’s most iconic and beloved pool and park. If you love the Springs, then please help the Springs in any way you can.